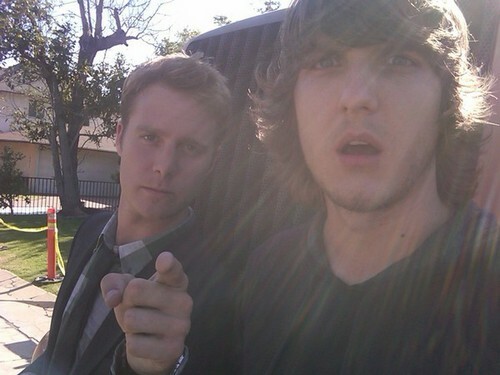 4x10 Legacy (BTS). . Wallpaper and background images in the Greek club tagged: greek season 4 4x10 LEGACY cappie evan chambers behind the scenes scott michael foster jake mcdorman.